I know an odd post after the last one. It seemed somewhat appropriate. They look a bit odd drying in my inside studio. 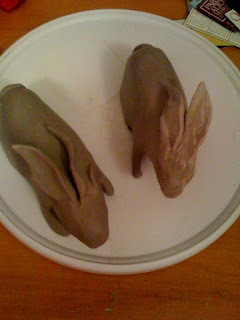 I do hope they look more like bunnies once they are fired and glazed. raining cats and chocolate cupcakes.